Good morning everyone! Today I have another Stamp Club project to show you. I found these adorable little chocolate frogs at Target. They are will the chocolate bunnies and chicks. I knew he would be cute with the frog legs in the Pyramid Pals stamp set. 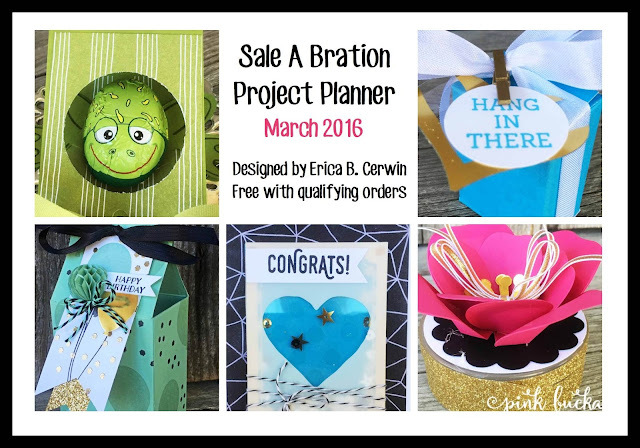 Once you place you order, I will get email confirmation and then I will email you the following planner. Each of the projects features something from the Sale A Bration catalog.